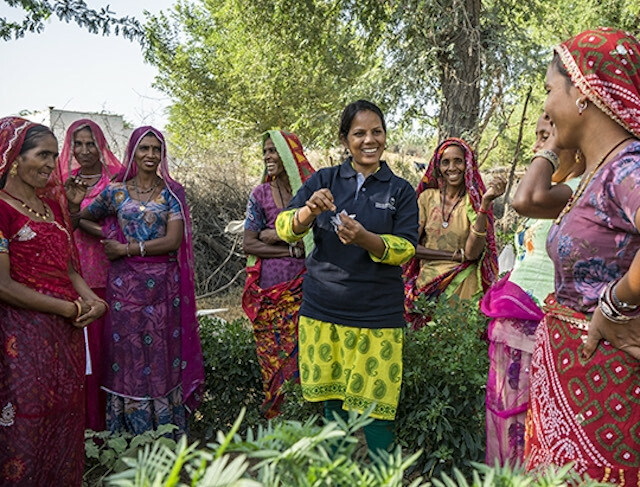 Women in Rajasthan, India, are using kitchen gardens to improve their families’ nutrition while redefining their role in the household. 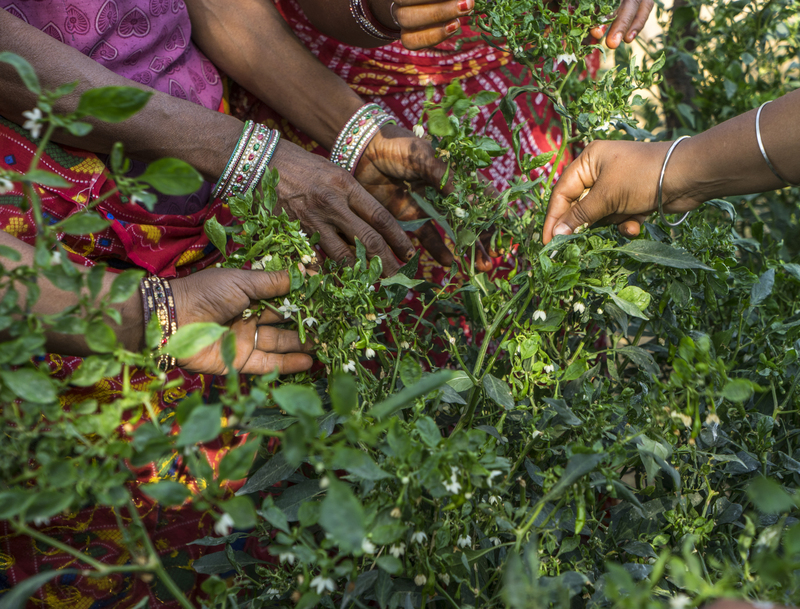 Women participating in Technoserve's Sustainable Guar Initiative tend to chili plants in a garden in Bamanwali village, located in the Bikaner District of Rajasthan, India. 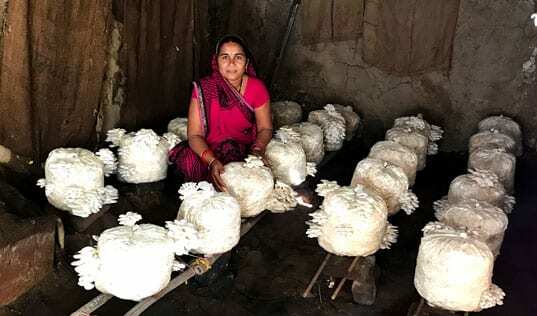 Rukmani Devi radiates a new-found sense of purpose as she potters around in her kitchen garden – a lush patch of green in the desert state of Rajasthan, India. Absorbed in an endeavor that has contributed significantly to improving her family’s diet, Rukmani feels confident and capable. Rukmani Devi lives with her husband, two sons and a daughter in Dhirera village in Bikaner district. The family depends on agriculture to get by, and Purna Ram, her husband, cultivates guar along with other crops. 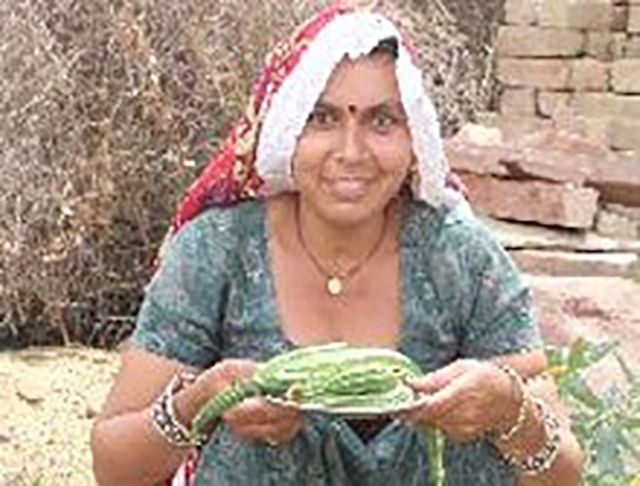 In fact, it is because of guar – a leguminous plant – that Rukmani Devi first started her garden. Producing vegetables in my own backyard has given me a sense of accomplishment and purpose. In April 2015, TechnoServe began implementation of the Sustainable Guar Initiative program in partnership with Solvay, an international company working with guar’s many applications. The project’s principal aim is to increase incomes for guar farmers in Rajasthan by 25 percent, but kitchen gardening has been a key component from the start. The daily harvest from a kitchen garden – ranging from green leafy vegetables to bright red tomatoes and plump white heads of cauliflower – significantly contributes to a family’s nutrition, decreases spending on vegetables at market, and helps to empower the gardener in her household. In many traditional rural societies in India, the woman’s role is typically confined to that of a mother and housewife. Her interactions are limited to her family members and to women within her community. These social norms are particularly evident in remote areas of Rajasthan state. 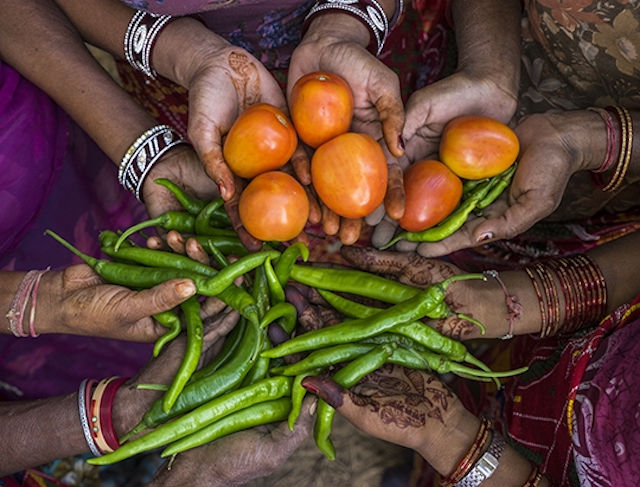 In Rukmani Devi’s village of Dhirera, women typically have little access to the local markets, known as mandis, and are dependent on the male members of the family to buy vegetables. Since the men go to the market only once a week – and households do not have access to refrigeration – they tend to get vegetables that have a longer shelf life. This means that nutrient-rich leafy greens and other beneficial vegetables are left out of the diet. 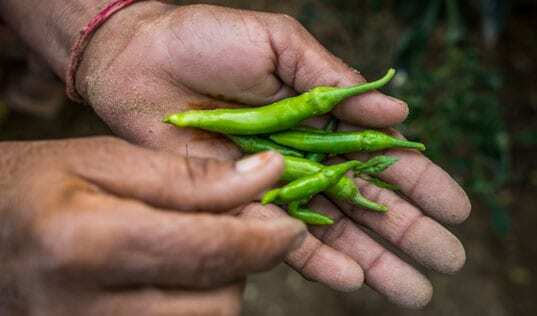 A study conducted by TechnoServe at the outset of the Sustainable Guar Initiative identified health and nutrition as key opportunities to raise community awareness and promote inclusion of women in farming households. 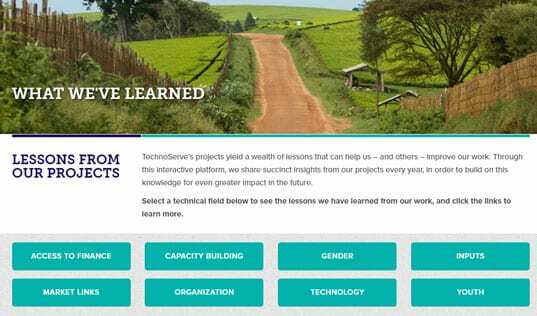 TechnoServe formed a team of women field extension officers, who, armed with a comprehensive training package, began holding training sessions. Sunayana Ingle, an associate at Technoserve, provides field training to a group of women in a kitchen garden in Bamanwali village. Rukmani Devi attended two of these training sessions and visited a demonstration plot. Excited by the prospect of growing vegetables in her own backyard, she worked with the TechnoServe team to convince her family of the nutritional benefits of developing a kitchen garden. In her first season as a kitchen gardener, she sowed 10 vegetables – spinach, radish, carrot, fenugreek, turnip, pea, cabbage, cauliflower, tomato and onion. She used her training to prepare an organic alternative to pesticide called amrit pani, and she was diligent in practices such as watering, hoeing and applying farmyard manure to help her garden thrive. Her hard work paid off. Her garden provided a bountiful harvest of more than 33 kilograms, allowing the family to save $20 (or INR 1340) on vegetables over the course of three months. Women hold their harvests in a kitchen garden in Bamanwali village. As of October 2016, the Sustainable Guar Initiative has trained 320 women and established 277 gardens. Read more about how TechnoServe is improving the livelihoods of Rajasthan’s guar farmers here.